One of the original buildings constructed at the Lodge. 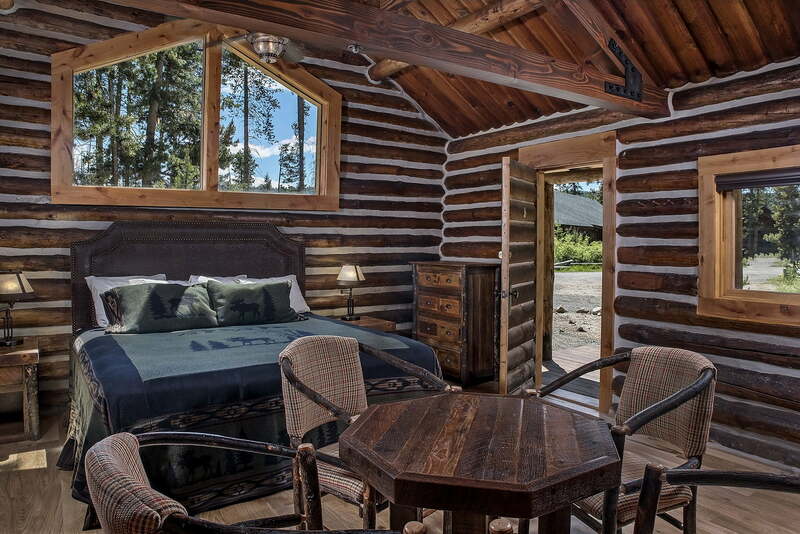 This cozy cabin was the original “General Store” next to the lodge. 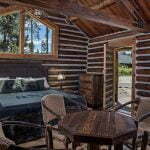 It has since been moved to its present location and was the original “honeymoon cabin”. 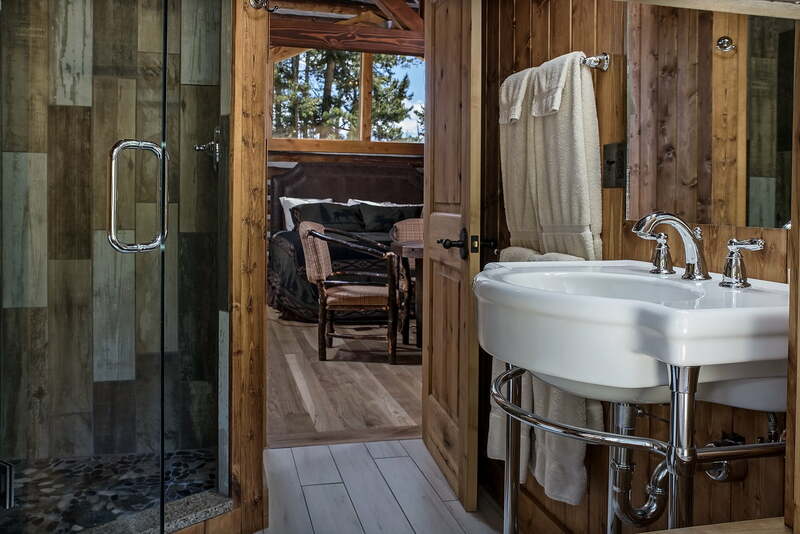 Newly renovated for 2017. 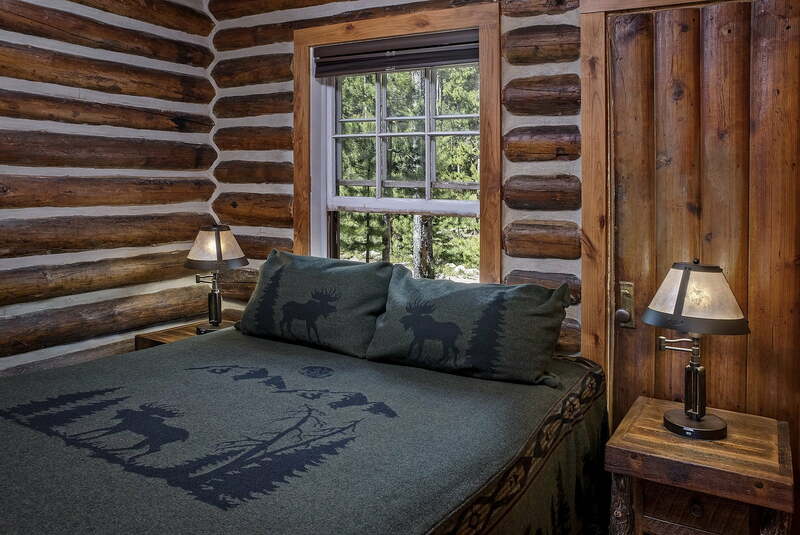 You will find a king-size bed in the main room and a cozy queen bed in a another private room, gas fireplace, kitchenette, table, and chairs. 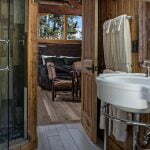 The bathroom is newly remodeled and features a beautiful shower. *Rates are subject to increase due to seasonal demand. 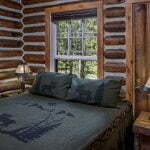 Nightly rate is based on an occupancy of 4. $10 per additional person per day. Children 3 and under free. Cribs are free. Cots are $10.00 per night.